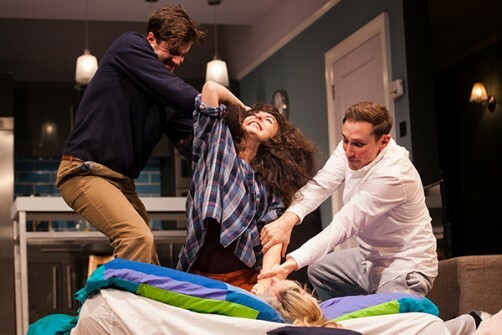 Bad Jews was a hit comedy in its home town of New York when it opened in 2012 and has recently started touring after transferring over to the UK. The show is now heading to Birmingham to New Alexandra Theatre in the city centre from May 2 to 7, 2016. 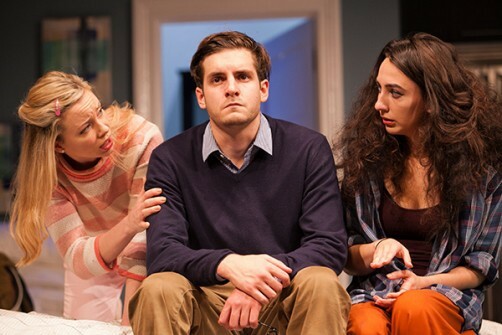 I caught the production when it first started touring towards the end of 2015 and while it's a fine, thought-provoking piece of theatre, Bad Jews emerges itself in dark wit rather than laugh a minute antics. Bad Jews revolves around how a family death spills over into angry confrontations within the younger generation of a Jewish family. Bad Jews was a hit in New York when it opened in 2012. It's a bolshy and, at times, angry piece of work, laying bare the extremes of religious belief and culture within one Jewish family following the death of a much-loved grandfather and Holocaust survivor. At only 1h 40 minutes long, it has no interval but seems to fly by despite an initial slow start. It picks up from a third of the way into the production as the small strong cast of four - three cousins and a fiance - come to blows over a treasured family heirloom and who deserves it the most. Ailsa Joy gives a strong performance as headstrong Daphna, who is manipulative, over-bearing and fanatically religious. She rants while an excellent Daniel Boyd plays her cousin Liam at the other extreme of the religious spectrum, but just as enranged. Caught in the middle are Liam's non-Jewish girlfriend Melody (Antonia Kinlay) and brother Jonah (Jos Slovick). There are some wonderfully witty moments in this play but its assets are its clever, memorable lines and sentimentality. 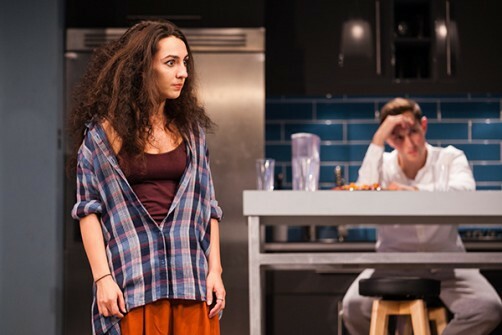 Bad Jews is ultimately a social commentary on religion, legacy and Judaism in 21st Century America that will leave you with plenty of food for thought. Tickets cost £14.40 - £33.90 from the ATG theatre website.